Favorite recipes, cooking ideas, shopping tips, and more! 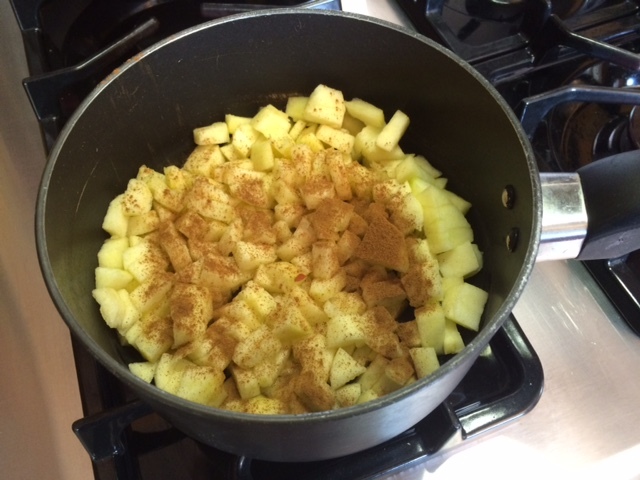 You’ve heard of turning lemons into lemonade, well here’s a quick and easy way of turning apples into applesauce! Every have apples sitting on the counter long beyond their ‘shelf life’? Or apples that were pushed to the back of the refrigerator and forgotten? What did you do? Compost? Trash? STOP! 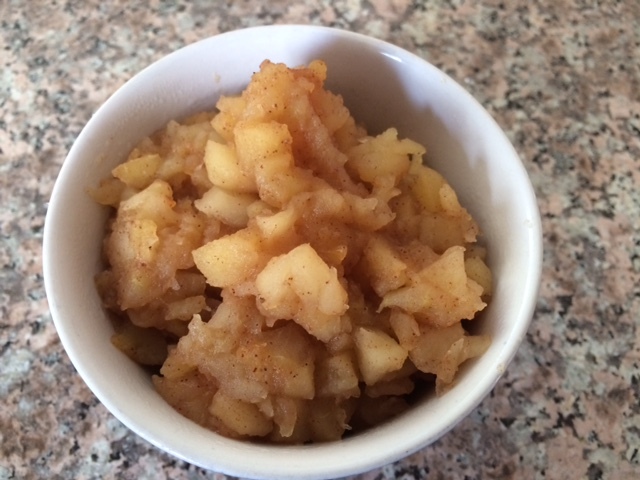 Turn your old (or new) apples into homemade delicious applesauce! 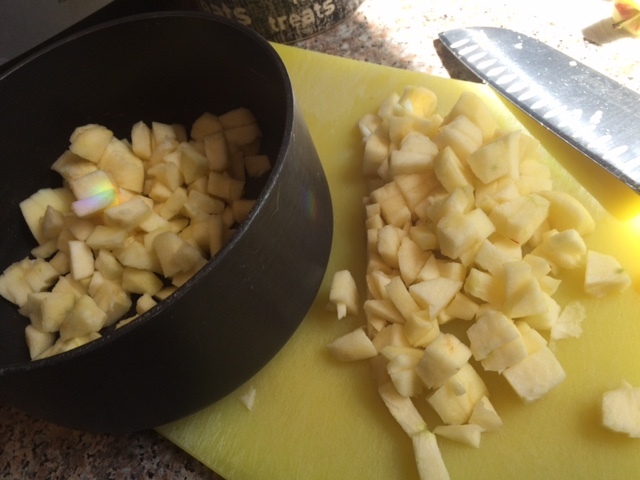 It’s as easy as 1) Peel and chop apples, 2) Place in small sauce pan on stove top with a little water (1/4 cup?) and a dash or two or cinnamon, 3) Boil/simmer until tender. At that point, I use a potato masher to turn them into a chunky applesauce. (You can keep cooking and blend cooked apples to get more of a pureed consistency, but when it comes to homemade, I like the chunky style.) Enjoy! Leftover pork roast from Easter? Chopped up and waiting patiently in the freezer for an encore performance? Today’s your day! Carnitas Hash. 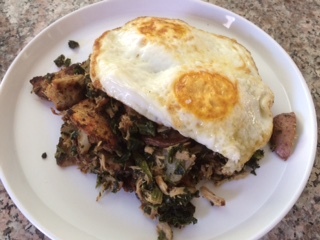 Carnitas Hash and over-easy eggs! What I love about making hash is that whatever you have on hand makes a great addition to your creation. Today – leftover shredded/chopped pork (about 1.5 cups?? ), thinly sliced red potatoes, and some frozen spinach! I started with 3 medium red-skin potatoes. Washed, dried, and cut into semi-thin half rounds. Into a hot skillet with a generous drizzle of extra virgin olive oil, kosher salt and freshly ground black pepper. Toss periodically to cook evenly. When the potatoes start to brown on the edges, add in about 1/2 shallot finely chopped. Cook for a few more minutes, tossing as the cooking continues, then add in the pre-cooked pork and about a cup of defrosted/drained frozen spinach. Continue tossing, adding a drizzle more of olive oil as you go, continuing to sprinkle with kosher salt and black pepper – all until your crispy delicious creation is to your liking! You’ll notice no exact directions here – just add ingredients proportionally to your liking, and the key (to me) is tossing over med/high heat until everything is golden brown and you can’t wait any longer to eat it! (I also add a few generous dashes of #respectthepepper for some added heat!) Top with a couple of eggs of your choice – and you’ve got breakfast, brunch, or an anytime go-to delicious meal! Enjoy. Comin’ at ya, Juli! 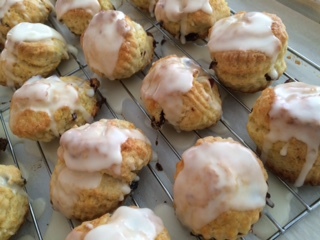 Just in time for April’s monthly unit meeting, Ina’s Cranberry Orange Scones! I made it my habit to bring in some sort of homemade treat to our monthly unit meeting – and I’m ready for tomorrow. Anyone who knows me or has been reading this blog over time, knows I’m a huge fan of @inagarten, Barefoot Contessa. Ina gets all the credit for this recipe – and I’ll take credit for the smiles that are sure to be on everyone’s faces! 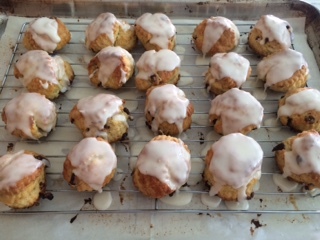 This was my first attempt at making scones – and I’m planning to do it again and again! The rumors are false – scones are easy to make! THE BEST! Flaky, tender, and buttery – of course! Thanks, @inagarten, for another fool-proof treat. Enjoy! Smash ‘Em – Crisp and Fluffy Baked Potatoes! Mac & Cheese – Italiano! Swordfish Milanese – Easy, Savory, and Delicious!